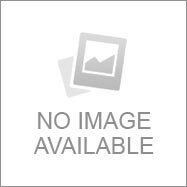 There are several important aspects related to an Indian wedding. Right from the venue to the food, from the attire to the gifts, there are many things to consider in a marriage. One of the most important ones would be the wedding card. It is the wedding card that actually informs the guests, relatives, family and friends where the actual event would be taking place. The wedding card can be, in more informal terms, your entry pass to a wedding. But let us see first what exactly a wedding card contains? It encloses the basic details like who is to marry whom, the details of the functions, the venue details, timings of the events, contact person and so on. 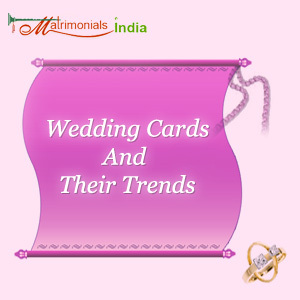 Nowadays, the wedding card trends are changing and new and innovative methods are being adopted by invitees. Let us first go through the basic details a card contains and the different trends. The most important thing that a wedding card contains is the name of the bride and the groom and their parents or grandparents. Without the names of the wedding couple, the wedding card would have absolutely no value. The venue is another major thing in a wedding card. Sometimes, only one card contains all the details of the events leading up to a wedding but sometimes, there is an individual card for every event or ceremony. Nowadays, both combined and individual cards are in trend so either of them can be chosen. The card or cards also contain the time of the functions and the venue, etc. Wedding cards also contain the details of the contact person. Sometimes the wedding venues are at far-off places and at locations that are not easily accessible. In such cases, the guests can contact the contact person, usually mentioned under the head RSVP and find out the details of the venue and the best way to get there. Nowadays, apart from the contact details of the contact person, there is sometimes a map enclosed with the card. The map contains the entire route to the venue from different parts of the city. This makes it easier for the guests to find the wedding venue. The latest trend that has started is giving a box of sweets or some gift along with the wedding card to the guests. This accompaniment of sweets and gifts with the card is known as shagun. So, if you or your loved one is getting married soon, make sure you keep these latest trends and the basic aspects of a wedding card in mind before getting it printed. An informative and attractive wedding card would add that extra appeal to the grandiose affair called The Great Indian Wedding.